A couple of days ago I was delighted to be asked to do a TED talk. 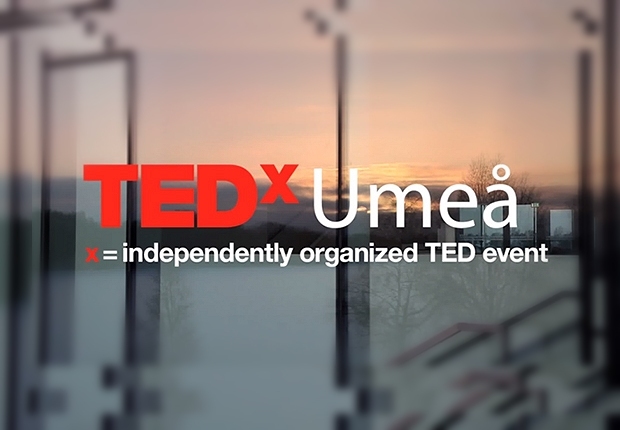 The invitation comes from TEDx Umeå, which is the TEDx event for the north-Sweden city of Umeå – European Capital of Culture 2014, and home to the world-leading Design School. [Note added later: you can find the final talk here]. So yes, it’s a TEDx one rather than the actual elite top-tier TED conference itself. But at a TEDx, it’s a proper event, and the video goes into the TED online archive, and they tend to get a good number of views. Some of the best-loved TED talks are TEDx talks that got promoted on the TED site. Those of us who try to put our thoughts into short appealing talks and videos, and try to reach people beyond universityworld, all secretly harbour the hope that one day the TED call will come, the invitation to deliver ‘the talk of your life’ in precisely 18 minutes. Of course it’s lovely news, but scary. Doing 18 minutes is, on the one hand, you know, pleasingly short. What could possibly go wrong in 18 minutes? I am happy doing an hour-long talk or lecture, and this is, like, a quarter of that. But, of course, doing an impressive 18 minutes is much, much harder than doing a good hour. And ‘the talk of your life’ is hardly a phrase that lowers expectations. In recognition of this challenge I think I might do two or three blog posts about the process of preparing it. (This is the first one). The process of blogging about it will probably also prompt me to take it more seriously. That would be good, because the 18 short minutes are going to need more work-per-minute than anything I’ve ever done before. Of course I’m familiar with, and agree with, the idea that shorter is harder and more time-consuming. But I still find it fascinating to hear about people who have spent weeks preparing something that lasts no more than a few minutes and is basically a person standing around talking. It was memorable, for instance, to read of the weeks of work which went into Amanda Palmer’s TED talk, The Art of Asking, in her excellent book of the same name. (She also blogged extensively about the process. Many many more words written about the TED talk than in the actual TED talk). Tons of work to create a reasonably relaxed and conversational 18 minutes. And the same applies to, basically, all TED talks. A lot of a lot of work has gone into making something short and simple and relaxed-looking. On a similar note, I also absolutely adore the care and precision, over many months, which have gone into crafting a few sentences which make up the precise wording of a few lines of stand-up in the marvellous New York Times 5-minute video, Jerry Seinfeld: How to Write a Joke. So this very careful crafting of words to be spoken is delightful… But! I’m not really like that. I do spend a couple of days preparing an hour-long talk or lecture, but what I do is, I make slides or a Prezi, and then in the actual performance (because it is, of course, a performance), I talk about those images and keywords, on the fly. And that goes well. Normally. The preparation time is very necessary, but I’m not exactly thinking about which actual words I’m going to say to go with the pictures. Sometimes it’s better if I’ve not exactly got a good example or story lined up and my brain is forced to produce something which is typically a bit random, a bit personal. I think if people can see your mind ticking and being spontaneous, that makes it more interesting. And usually the adrenalin of the performance means you do come up with something. When you’ve got an hour, it’s ok to have some parts that go better, some parts not so good, and you’ve got time to make it, overall, a success. If I was 18 minutes into a lecture and it felt a bit flat, my brain merely needs to alert itself to the need to throw in something more engaging or surprising quite soon. But in a TED talk, by 18 minutes you’re already done. And it’s meant to contain amazing ‘a-ha’ moments and tell a story and fit in some gentle funny stuff as well as some intense bursts of ideas stuff. So: this is going to take some work.